Mammoet provided a safe, fast and reliable execution plan to show the in-land relocation would cause minimal impact to neighboring businesses, ultimately resulting in the permission to carry out the plan. 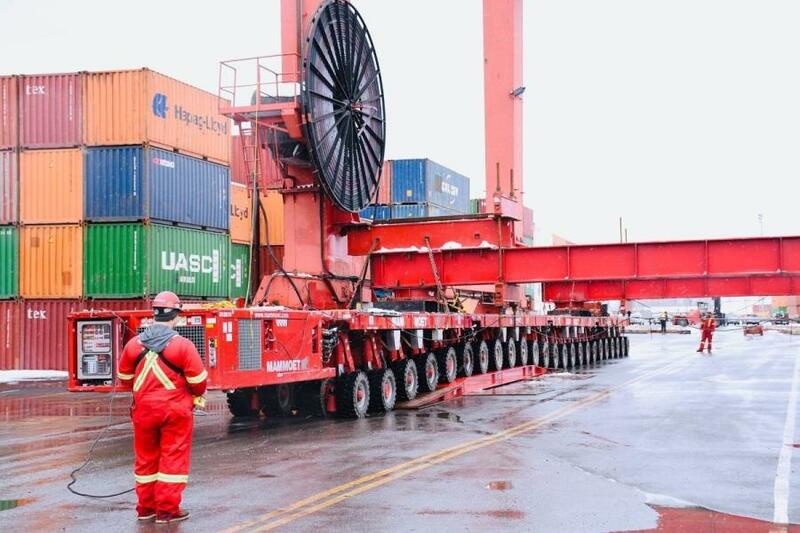 Mammoet was approached by Termont Montréal Inc. to relocate a port crane from one of its terminals to another one, 1.5 miles away. Originally, the request was to load out the port crane onto a barge and ship it to its new location. 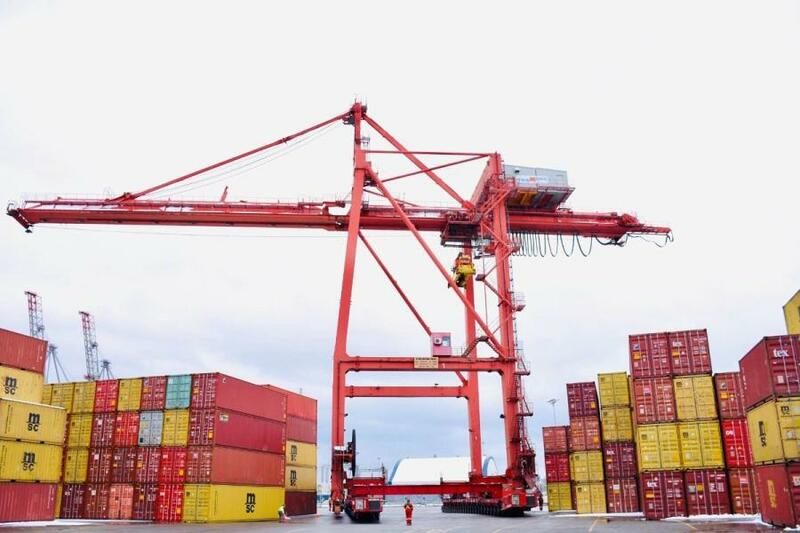 This was because port operators positioned between Termont's two terminals had safety concerns about moving the crane through their properties. Knowing the in-land option would be the fastest and most cost-effective solution, Mammoet worked closely with the client for more than a year to help the negotiation process with the neighboring port operators. Mammoet provided a safe, fast and reliable execution plan to show the in-land relocation would cause minimal impact to neighboring businesses, ultimately resulting in the permission to carry out the plan. This eliminated the need for any barge operations, which saved time, cost, risk and effort. Once this was granted, Mammoet reacted immediately, with only two weeks' notice to source and mobilize equipment. This included sourcing 200 wooden mats for load spreading to ensure there was no damage caused to the neighboring properties. The team also had to account for an underground tunnel, which was protected using steel ramps. The job was completed on a Saturday to minimize disruption to business activities. The 700-ton crane was placed on customized transport beams and 48 lines of SPMTs which maneuvered the crane safely and smoothly through the congested route. Their turning radius and easy access meant less preparation was required to move sea containers along the path of the busy port, saving even more time. Overall the move was completed within eight hours, only two of which the crane was located on the neighboring properties. "We are very happy with how Mammoet handled this job and with all the Mammoet professionals who worked with us patiently over the last year until today," said Termont's Maintenance Manager (Directeur Entretien) Eric Lupien. "They made this move happen and performed it safely and smoothly, with minimum interruption to the port activities, thanks to a reliable solution and detailed planning. We will definitely call Mammoet for our next jobs." For more information about Mammoet, visit www.mammoet.com.